[2019 with DOS games] The Ancient Art of War / Altered Destiny / Alone in the Dark – I ❤ Old Games! This is the first entry regarding a new (another!) project I hope I can keep up with to list a mini-compendium of mandatory MS-DOS games ever released. For a big part of my life I’ve been a PC games player and I had tons of old games to play with back in the late 90s. This is my homage to them. The rules are simple. MS-DOS has been created in 1981 and was still available in computer until the early Noughties. However the release of Windows 95 acted as a break and everything before immediately becaome. So I can fairly tell that the DOS era goes from 1981 until 1985. [2019 with DOS games] will feature every two weeks a selection of three games, one for every five-year period (1981-1985, 1986-1990 and 1991-1995) in alphabetilac order that I consider either important, ground-breaking or simply fun and easy to play. I’ll try to consider only DOS-exclusive games or in case games spread on different platforms that have the PC version as a flagship. No claim of completeness, I’m not a human encyclopedia (unfortunately…). Let’s start today with letter A. 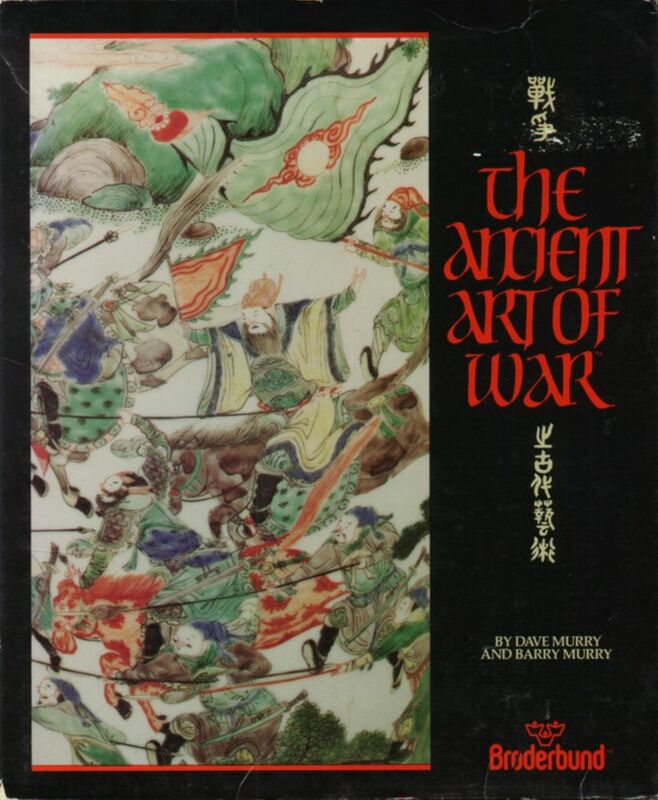 Ancient Art of War, losely inspired by The Art of War of Sun Tzu, is considered one of the first and most important RTS games. In 1984 probably no game has such depth like this and its success led to the development of two sequels, The Ancient Art of War at Sea (1987) and The Ancient Art of War in the Skies (1993). The RTS genre was popularized in the 90s by iconic games such as Dune and Warcraft so we can easily consider Ancint Art of War like a forefather of the genre. 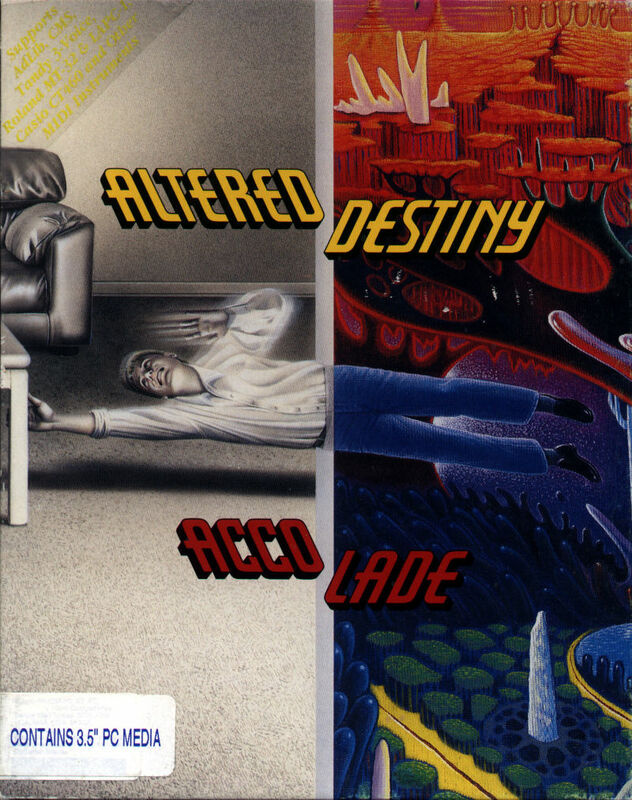 When Altered Destiny hit the scene back in 1990 on PC, it was probably one of the graphically most advanced adventure on the platform. The genre of the point-and-click adventure was on fashion between 80s and 90s and this Accolade piece of software for the critics was just one of the bunch. It received mixed reviews and was defined either “ok” and “frustrating”, yet fun to play and it’s a game that is still anchored to the old school of interactive fiction games since sometimes still requires some text input. I discovered this game in my adulthood when I finally put my hands on a big lot of old PC games and, although the plot is a bit absurd and the game is irreparably flawed I found myself at ease walking in the world where P.J. Barret has been thrown. 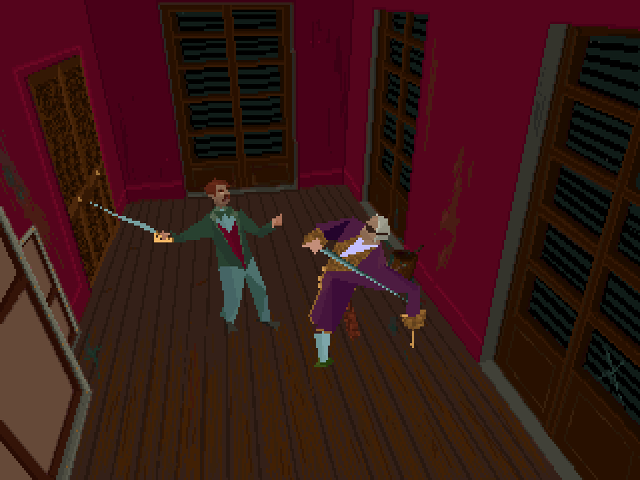 Anybody who owned a PC back in the 90s has either played or at least heard about Alone in the Dark. In retrospective this is a game that started to introduce the common features of the survival horror genre, although in an embryonic form. Inspired by the works of H.P. 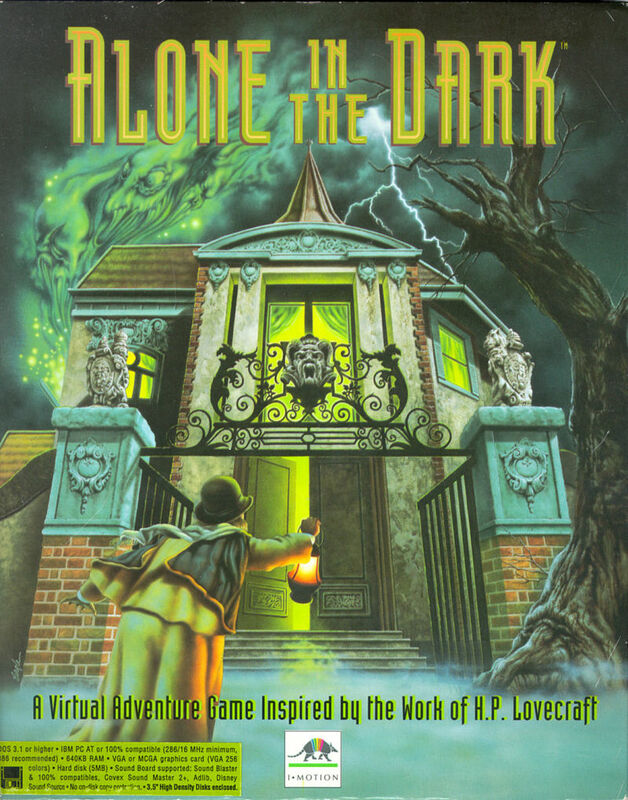 Lovercraft, as proudly stated in the box, Alone in the Dark was a massive hit, recived great reviews and it was the first successful 3D adventure. Looking at it now and to its clunky polygons makes laugh but back in 1992 this was a ground breaking title. I’ve spent weeks (months) trying to pass one of the first puzzles, the one with the two gargoyles and no, the solution is not throwing at them everything you have in your inventory (like a friend of mine once said…the same person who told me that on vacation when he was 15 he got the phone number of like 30 girls in one week after getting laid with all of them but he had lost all of them before coming back home…). The importance of this title in gaming history is clear by the number of sequels and remake made in the last 25 and more years (I also own one of them, Alone in the Dark: The New Nightmare for PS1…a good game I have to say…). The original game is a true masterpiece that deserves another try, even in 2019. Could it be this the right year to finally complete it? Alien Carnage is neat run n’ gun and another game I like to play even now in 2019 and I still have it installed on my PC so a quick play every week is mandatory, while Armored Fist is something that I’ve never expected I could enjoy. I don’t like tank games but being this one of the games that was working in the Dutch compilation I ended up wasting so many hours on it that I started to appreciated it. Aaaah, I remember that gargoyle/mirror puzzle well! 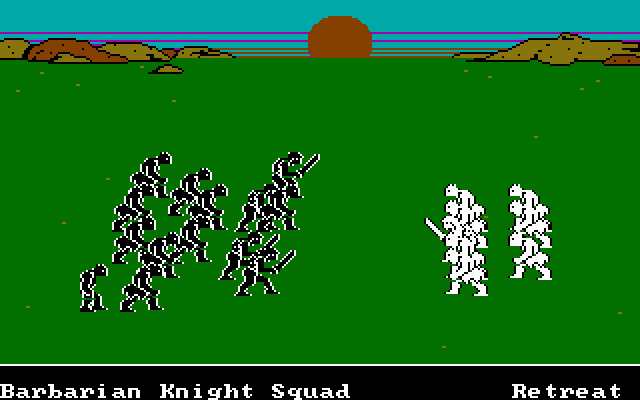 So many DOS applications had the font that features in The Ancient Art of War. I am glad that DOSBox exists because it ensures that many classic PC games weren’t left to fall by the wayside.